Zara has officially opened its first store in New Zealand at Auckland's Sylvia Park Shopping Centre. The 2,552sqm store is spread seamlessly over one floor and includes almost 1,850sqm of commercial space and displays all the brand's latest Spring/Summer collection all designed exclusively for the Southern Hemisphere by a dedicated team. Beauty, clarity, functionality, and sustainability are four words that could be used to describe the new store image. 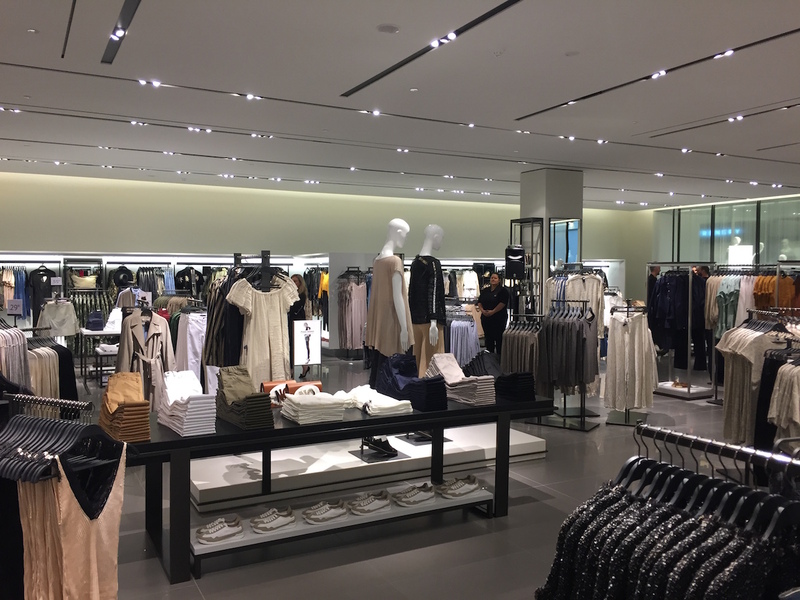 A sleek white surface spans the ceiling and walls so that the limits within the store are no longer defined. This helps to create the illusion of space and freedom while creating a backdrop which enhances the beauty of the fashion creations. The space invites the customer to enjoy as never before the experience of feeling, touching, observing and interacting with the merchandise. The Sylvia Park store also incorporates all the green-building criteria stipulated by Zara's parent group Inditex. In accordance with the company's environmental plan - Sustainable Inditex - the new eco-efficient store consumes 30 percent less energy and half as much water compared to a conventional store. Zara is known worldwide for its ability to spot emerging trends. At the headquarters in Spain, there is a creative team of over 600 product design personnel to develop their customers ongoing desires. New garments and accessories are delivered to Zara stores across the globe twice a week. Owned by Inditex Group, Zara now has well over 2,000 stores across 93 markets.